The pulse of clapping hands and stomping feet provides recognizable accompaniment for the voices that power traditional gospel-centered worship services. Emerging from gospel's hallowed melodies is Sacred Steel: a distinct, and near mythic, subset of the genre played on lap and pedal steel guitars. The Campbell Brothers - Chuck, Phil, and Darick - are the musicians most responsible for Sacred Steel's surfacing from the House of God Keith Dominion Church, where for over sixty years it has been the dynamic backbone of Pentecostal fellowship. Lap steel guitars are four-legged instruments that closely resemble miniature ironing boards. Darick Campbell is a contemporary master of the instrument who sashays a metal bar across the guitar's strings to mimic the impassioned wail of gospel's greatest vocalists and accent the highpoints of the preacher's sermon. 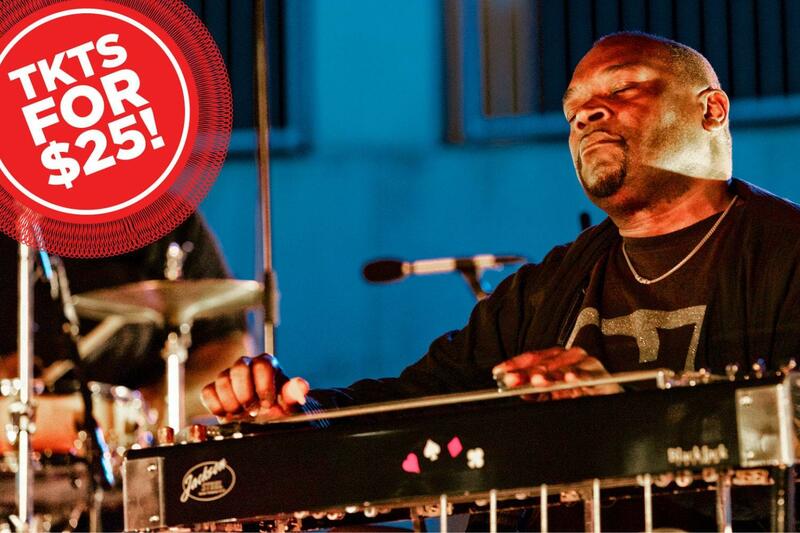 Darick and his pedal steel-playing brother Chuck are two of the finest in the tradition. The band's sound is highlighted by a high-energy rhythm section featuring brother Phil Campbell on electric guitar and bass, and his son Carlton on drums.